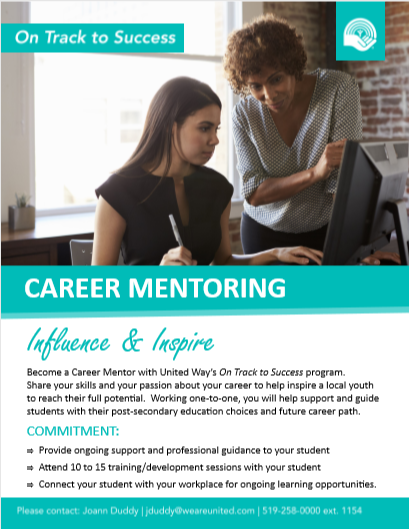 United Way/Centraide Windsor-Essex County is excited to announce the commencement of the On Track to Success Career Mentoring program in November 2018. On Track to Success is a poverty reduction strategy which aims to help at-risk youth living in low-income households to graduate high school and move on to post-secondary education. Youth are supported from grade nine through graduation using a wrap-around service model, which includes financial support, tutoring, social and career mentoring, and individual and family supports. Receive education and career guidance from a trusted, supportive adult. 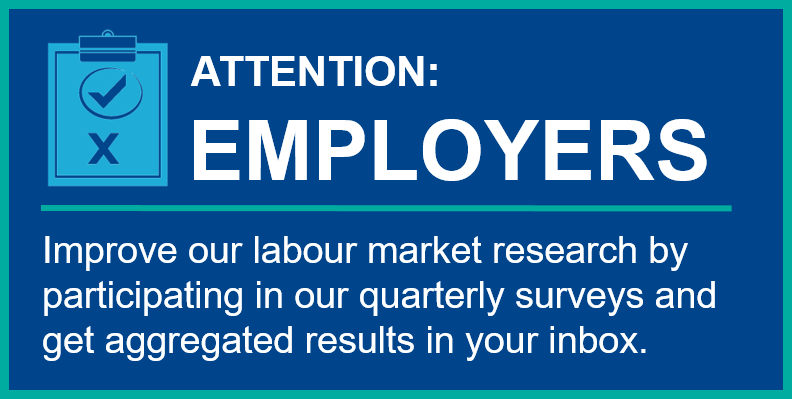 United Way is currently seeking qualified and committed individuals who would like to serve as Career Mentors from a variety of employment sectors in both Leamington and Windsor. Research shows numerous benefits to those who mentor, including enhanced leadership skills, a stronger sense of personal satisfaction, and increased opportunities to promote one’s business or career field within the local community. Connect with program staff to provide feedback on mentorship experience. We understand that becoming a mentor to a young person is a significant commitment. If you feel like this commitment is right for you, we ask that you complete the attached Expression of Interest Form and return it to your United Way contact as soon as possible.